Born in Buenos Aires, Luna Palacios is an authentic “milonguera”, tango dancer, who learned tango from some of the most storied figures in Buenos Aires dance halls. Until 2001, one day, her sister Verónica took her to a milonga, where, says Luna, she immediately fell in love: the dance, the music, the magic of that atmosphere was something she had never experienced, but it was the embrace that seduced her and won over her heart. Some of her formal teacher were: Verónica Palacios, Lucas Galera, Jose Garofalo Oliver Kolker, Carlos Gavito, Guillermo Cerneaz and Gabriel Misse, among others. The greatest inspiration for her was her teacher and friend, the late Carlos Gavito. Shortly after they met, Carlos became Luna’s artistic mentor. Given that Luna was always a very ductile and personal dancer, she became the favourite dancing partner of several great dancers: Lucas Galera, Oliver Kolker, “Flaco” Dany Garcia, Horacio Britos (aka: PIbe Avellaneda),Carlos Copello, Aoniken Quiroga, Paulo Bidart, Jorge Pahl , Octavio Fernandez to name some of them. We will now know his musical side, giving us, with his experience, great and goods selections as a musicalizer of our milongas. Damián Boggio was born in Buenos Aires, Argentina, in 1972. He has been a tango dj since 1999. He has played music in Buenos Aires´s best milongas between 2000 and 2010 (“Salón Canning”, “La Nacional”, “El Beso”, “Porteño y Bailarín”, “CITA”, “La Noche de Gavito“), learning from the great and passionate porteño (born in, belonging or related to Buenos Aires) dancers, kwon as “old milongueros (old milonga dancers), who frquented their “tango, friends and drinks nights”. Between 2006 and 2010 he organizes his “Mina Milonga”, in Salón Canning, every twesday, presenting the best dancers and orchestras live. From 2004 he travels to Europe, proposing his distinctive (unmistakable) music playing style. Up to date he has played music in Italy, Germany, Great Britain, France, Portugal, Spain, Switzerland, Romany, Bulgaria, Turkey, Russia, Ukraine, Poland, Luxemburg and Holland. In 2006 he starts organizing courses for those wanting to be tango djs, in which many of the present well known tango djs learnt their trade. In 2008 he is the first tango dj to play music in Asia (Corea, japan, Taiwan, Hong Kong), also giving his highly appreciated courses. In 2009 he creates his “La Típica Mina” orchestra, with which he tours around Italy. In 2011 the group returns to Europe as a duo (piano and bandoneón). His interest is focused on promoting the original tango music. Today he does so in his tour “EL DISCO ES CULTURA 2015” (“Record is Culture 2015”), around Argentina, Europe and Asia, as he has been doing during the last years. To achieve his goal he uses the old vinyl records that belonged to his parents and grandparents, the same he used at the beginning of his career, back in 1999, in Buenos Aires. Nowadays he is the only one to play tango music using vinyl records, carrying them along all around the world. This has inspired many tango djs to perform likewise, fhus bringing back to life the interest in the original old records. His Teachers were, are and will be Osvaldo Natucci and Mario Orlando. His inspiration, la Épica de Félix Picherna (Félix Pichema´s Epic). Toni Barber. Born in Barcelona, has been dancing tango since 1991. Organizer of milongas since 1996 in the city of Barcelona: The Patio de Tango Milonga, El Yeite, Dome of the Tango, Café Picasso: Tango Gotan, La Yapa Milonga del Café. 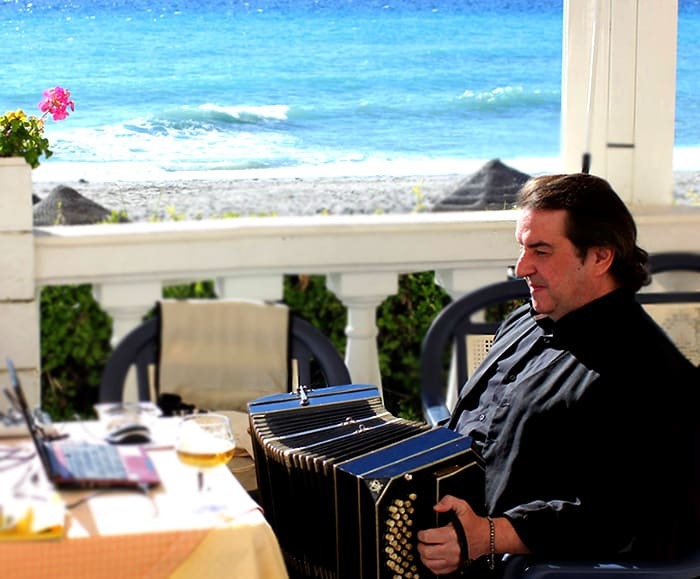 He has been working for the International Tango Festival of Sitges since 1996, where he was official DJ of the night milonga Festival for 13 years. Since 2008 belongs to the Festival to the present in which is its director. 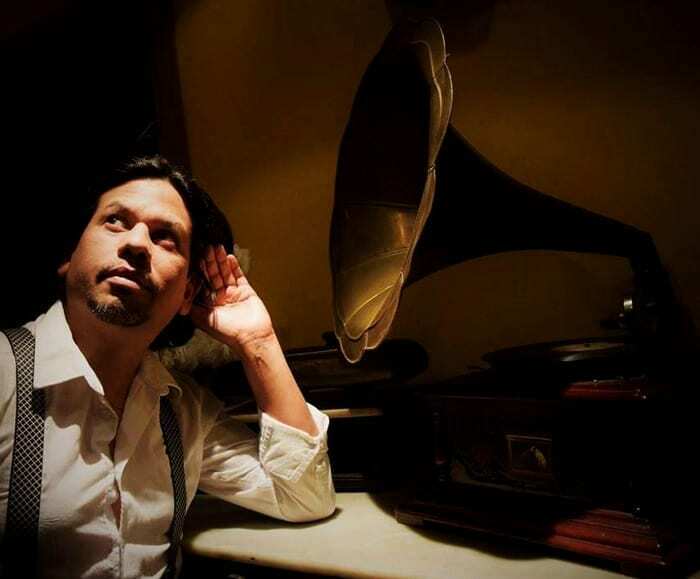 As a DJ, he has participated in the best events the city of Barcelona dedicates to tango. He has participated in several European festivals. He is also a musician, contrabassist, as part of various tango ensembles: Orchestra Latitude Tango (4 years to the present), Combo guitar and bass Quartet Unreal (2 years), currently a member of the Quartet Typical Chamuyo Arrabal. He was named Corresponsal Academician of the National Academy of Tango in Buenos Aires, for his work in Barcelona with regard to the history of Tango. Damián Boggio was born in Buenos Aires, Argentina, in 1972. He has been a tango dj since 1999. He has played music in Buenos Aires´s best milongas between 2000 and 2010 (“Salón Canning”, “La Nacional”, “El Beso”, “Porteño y Bailarín”, “CITA”, “La Noche de Gavito”), learning from the great and passionate porteño (born in, belonging or related to Buenos Aires) dancers, kwon as “old milongueros (old milonga dancers), who frquented their “tango, friends and drinks nights”. Between 2006 and 2010 he organizes his “Mina Milongga”, in Salón Canning, every twesday, presenting the best dancers and orchestras live. From 2004 he travels to Europe, proposing his distinctive (unmistakable) music playing style. Born in Barcelona, has been dancing tango since 1991. Organizer of milongas since 1996 in the city of Barcelona: The Patio de Tango Milonga, El Yeite, Dome of the Tango, Café Picasso: Tango Gotan, La Yapa Milonga del Café.